Pure One Classic II review | What Hi-Fi? 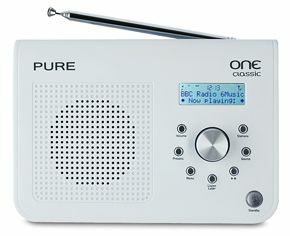 We’ve long admired the Pure One Classic – a firm five-star favourite and the world’s bestselling digital radio. So how does Pure fix a product that’s demonstrably not broken? By adding a rudimentary recording feature and shaving the cost of a pint (we’re in London here, don’t forget) off the price. ‘Listen Later’ is a self-explanatory feature: the One can record your favourite daily (or weekly) radio programme for consumption at your convenience. The memory has space for one show (of between 30 minutes and 3 hours, depending on the broadcast quality) and overwrites it with the next one regardless of whether you’ve listened to it or not. Otherwise, the One is unaltered. Sound is, by the standards of affordable kit, impressive: open, detailed and nicely unified when given a decent transmission to work with. It has greater scale and dynamism than you might expect, too. Affordable radios don’t get much more appealing.